893 Mountain Ridge Dr, Homewood, AL.| MLS# 841724 | Richard Jacks UABLIVING.com 205-910-2297 | Birmingham AL Real Estate | Contact us to request more information about our Homes for Sale in the Birmingham AL area. Hurry, don&apos;t blink! 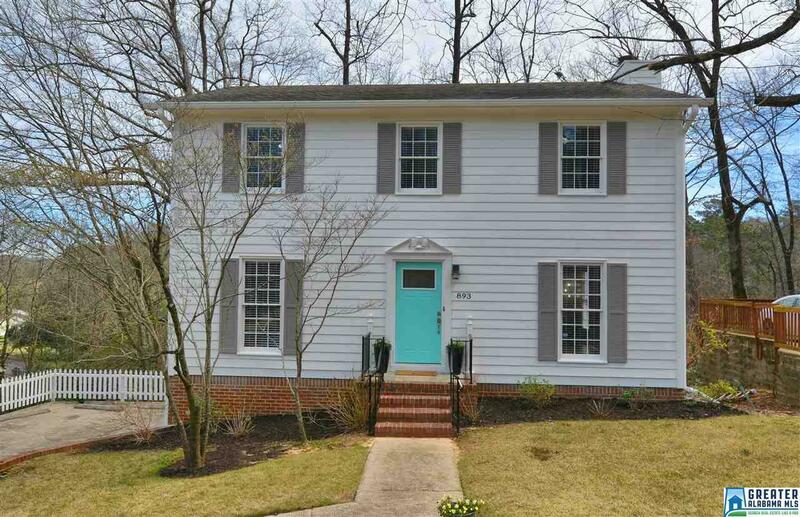 This updated home in desirable Edgewood will go fast. Very short walk to Gianmarco&apos;s and JoJo&apos;s. Rare 2 story over a full basement! Approximately 2460 +/- sf of heated and cooled living space. Fresh interior and exterior paint. Many new updates including quartz countertops in the kitchen, new kitchen tile, farmhouse sink, tile backsplash, freshly painted cabinets, new flooring, lighting and new sink/ cabinet combo in the half bath. Hardwoods in the foyer, family room, hall and dining room. Giant family room with a gas fireplace. Large formal dining room plus a large eat in kitchen. Master bedroom suite is huge with sitting area and large walk in closet. Just in time for spring weather to sit on your screened back deck. Finished daylight office/possible 4th bedroom, walk out bonus room and large laundry room on the basement level. 1 car garage and plenty of driveway parking. Hurry! Driving Directions: Broadway To Carr Ave (In Front Of Gianmarcos), Then Left On Acton, Left On Mountain Ridge.